Brilliant stop-motion from Hayley Morris, a young animator working now for Curious Pictures. 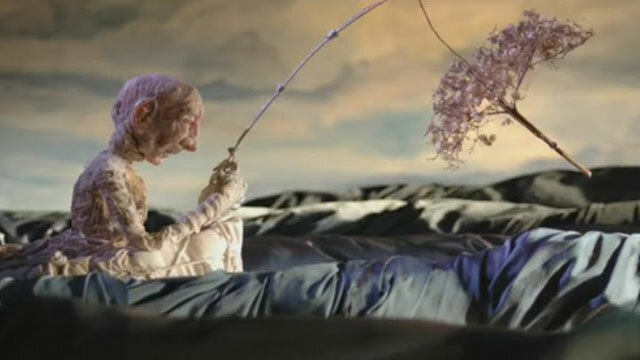 The 6 minute Undone was her thesis film from the Rhode Island School of Design in 2008, and won Best Animation at Slamdance 2009. The film is a poignant metaphor for the debilitating effects of Alzheimer’s disease, something which Ms. Morris’ grandpa suffered. The handcrafted styling of the puppetry and set elements works not only as an aesthetic novelty, but as fitting representation of the personal nature of the items imaged—aiding the themes of nostalgia and loss.